We are here, I have seen it! Finally the weather cleared yesterday and South Georgia showed herself in all her glory. The ship used the opportunity to get a lot of the tasking done and also allowed some of the ship’s company (including me) a trip ashore. Relating to BAS, endurnace, fur seals, king penguins, royal marines, south georgia, Stromness. 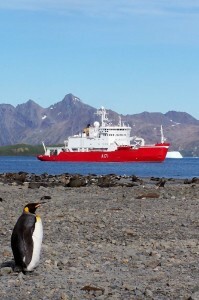 HMS Endurance is now in South Georgia for her next operational period. The ship has been carrying out numerous diving operations including the BBC diving for a new programme called Frozen Planet. 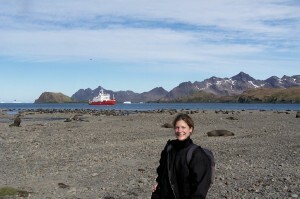 The BBC have also been using the ships helicopter to film the area from above the surface and there has been the transfer of SBES (Young Explorers organsiation) ashore to carry out scientific investigations on glaciers and wildlife here. Relating to BBC Frozen planet, diving, Elephant Island, Fur seal, James Caird, king penguin, Royal Marine, SBES, Shackleton, Shackleton's walk, south georgia, Stromness, survey. We are at this moment sailing around South Georgia. Apparently. We arrived last night and it is so foggy that we could be in the middle of the ocean anywhere. We are here though, as the helicopters are carting people off the ship and onto land as I write. Relating to BBC, British antarctic survey, British schools exporlers society, endurance, Frozen planet, helicopter, lynx, south georgia, Spiderlight films, taranto night.